Preacher: RRPC Youth (1), Dr. Jon Fancher (1). Book: Leviticus (1), Matthew (1), Luke (2), Romans (1), Galatians (2). 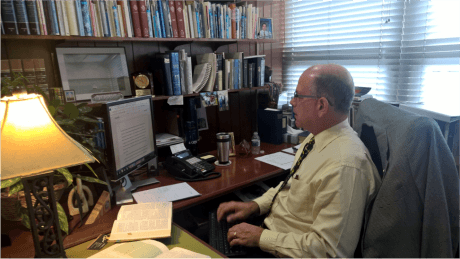 Series: 2019 Visitor Sermons (1), 2017 - "Summer Memories: Scripture Verses Worth Remembering" (1). Leviticus 19:19-18 (Part of the 2019 Visitor Sermons series). Preached by RRPC Youth on March 10, 2019 (Sunday Morning). Galatians 5:22-22:23 (Part of the 2017 - "Summer Memories: Scripture Verses Worth Remembering" series). Preached by Dr. Jon Fancher on July 30, 2017 (Sunday Morning).